Competition closes for online entries at 10am on Thursday 27th February, 2014. 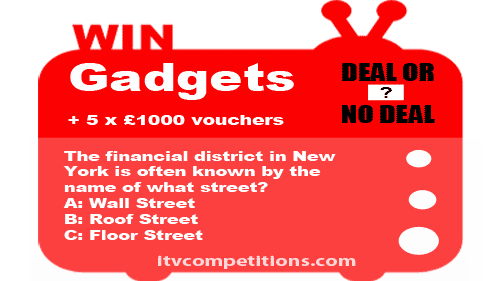 The financial district in New York is often known by the name of what street? 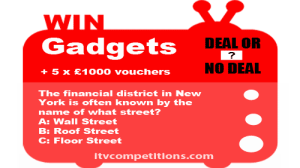 Enter the Deal or no Deal competition 6 times per phone number via the Channel 4 competitions website.